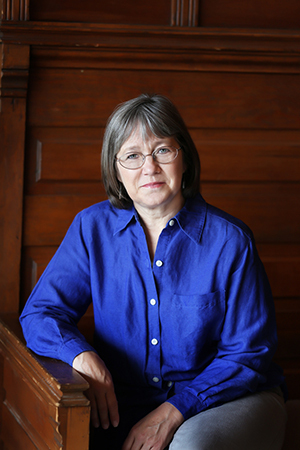 Robin Hobb has long been known as one of the biggest names in fantasy and this year sees the release of the conclusion of her latest series as well as a novella set in the same world. With a hugely successful career and a fan base that spans the world, at this point she is an author who needs little in the way of introduction. There are few fantasy readers who have not been swept away by the magic of the Elderlings and the Farseers, wooed by the talking Liveships or intrigued by the other world of The Soldier Son Trilogy. There are fewer still who have not speculated about what will come after The Rain Wild Chronicles, so as the final part draws near it is an exciting time to be interviewing Robin. Blood of Dragons is nearly with us â€“ the long-awaited conclusion to The Rain Wild Chronicles, and perhaps the final piece of Kelsingraâ€™s puzzle. What can readers expect from this instalment? Â I fondly hope that they will find it a satisfying conclusion to this part of the tale.Â Where to end a book, or even four books, is always a momentous decision. A long time ago, I decided that one story should end where the next one would logically begin.Â We see that in the old tales that end with a wedding, or the death of a hero, or the truce at the end of the war. When working with multiple story lines, itâ€™s harder.Â In our own lives, itâ€™s very rare for multiple events to all end neatly at the same time.Â So often, the best a writer can do is find a stopping place where readers can accept that some good endings have occurred and they can see that others are probably just around the corner.Â I hope that readers will feel that this tale fills in a lot of unanswered questions, not just from the Liveship Traders trilogy, but from Farseer and Tawny Man as well. Really, the stories are all related. When did you realise the series would run to four books and what elements exceeded your original intentions? How embarrassing to admit this!Â Iâ€™d looked at my course of books as Robin Hobb and realized that for anyone thinking of venturing in, a nine book series can be a bit daunting.Â So I decided to write a stand alone novel that might allow a reader to experiment with my style and choice of story, an introduction to my world.Â I hoped it would be a nice lure that would work for people who wanted a full story before plunging into the bigger story. It was to be a book that readers could read and enjoy even if theyâ€™d never ventured into my world before. I failed miserably.Â The book was far too long and turned in very late.Â So, the editorial decision was to split the book in two for faster editing.Â That was how Dragon Keeper became the first volume and Dragon Haven the second one.Â As I wrapped up Dragon Haven, I knew that I wanted to explore that city a LOT more than I had.Â So I thought Iâ€™d write one more book.Â Again, it was far too long. So it became City of Dragons and Blood of Dragons. One day, Iâ€™d still like to write a stand alone book that would give new readers a way to sample my world. The dragons in your stories are well set now to become dominant in the world and are changing its landscape. What is it about dragons that fascinates you? What if humanity had to deal with another species that was at the top of the food chain and just as arrogant as we are about â€˜ownershipâ€™ of the worldâ€™s natural resources?Â What if they dismissed our claims to â€˜ownâ€™ livestock or land as silly little cultural claims made by a short-lived species?Â That is my fascination.Â I look at how we dismiss the territorial claims of obviously intelligent species, such as elephants and wonder just how we would react to something like that.Â So.Â Letâ€™s have a few dragons disrupting an established fantasy world and see what happens next. And Iâ€™ll add that dragons and dragon like creatures appear in so many mythologies in the world that I just have to wonder what prompted them in all their many guises. Jackie Morris is a name many will recognise as the current cover artist for your books. An established British artist and writer, Jackieâ€™s unique style has carried seamlessly over to the wonderful dragons and creatures of your stories. How did that come to be and how much guidance do you give on the appearance of the characters? Iâ€™ve included Jackie on this question, in the hopes we can get the tale as a first hand account.Â How much guidance do I give on appearance of the characters?Â Very little. This is what Iâ€™ve discovered over the years of working with all sorts of artists.Â The ones who are good have much better ideas than I do.Â All I do when I inject feedback is muddy the water.Â I do not think art can be a group project without diluting genius. And here is Jackieâ€™s account of how it all came to be:Â â€œThe partnership came about in a curious way. Jane Johnson was sent a card for Christmas, one that I had designed for the Musicians Benevolent Fund. She emailed me to ask if there was a print available and asked for it to be sent to Harper Collins. Meanwhile I was reading these amazing books by Robin Hobb. So, when I had an email from Jane, who was very pleased with the print, but wondered if I might be interested in re packaging some fantasy fiction I replied ( I had a heavy workload at the time) yes, but only if they were by Robin Hobb. Splendid coincidences like this do not come along often. I think I have done 20 covers now and am looking forward to more. I work the covers up about 3 times the size of the finished books and paint with watercolour. The background is gold leaf and the art dept had to develop a special technique just for Robin’s books so that they would print that way, using metallic printing inks. As for guidance, well, Robin has all the guidance really as I read carefully and try really hard to see what it is that she describes. And as I got to know her better I now send the roughs to Jane, Emma Â (editors at HC) and also to Robin and sometimes Robin sees the art before the editors. I love working on the covers and hope that I have made the books look elegant. Covers are such difficult things and you have to try and make something that will really catch the eye and stand out on crowded shelves. One thing I love doing is finding them in bookshops and it’s wonderful when they have loads, usually face out. The script on them is so elegant. I think that is John Howe’s original script. Perfect. I will add that if you love art and beautiful photography, a visit to Jackieâ€™s website is a must. Also released this year is your novella The Wilful Princess and The Piebald Prince. Readers of your earlier books will, of course, recognise the legend of the Piebald Prince. What can we expect from this story? Iâ€™ve always wanted to write about the Piebald Prince.Â His very brief reign was a watershed event in Six Duchies history in regard to how the Witted are treated there.Â I thought it was time to give a glimpse of his history and why he was such a divisive King.Â Itâ€™s a story told in two parts, and Iâ€™ve written it about four times over the last ten years or so, trying to get it right.Â I finally found the correct narrator for it, and got it down on paper.Â I hope that it will answer a few questions about Fitzâ€™s heredity and the Old Blood magic. There are many recurring themes in your work. What are the most important to you, and are you conscious of them as you write? So the truth is that I donâ€™t give a lot of thought to what the theme of a book is.Â I just want to write a good story, of a kind that I would love to read myself.Â I like dragons, and realistic detailed characters.Â I like forgotten cities, and ancient mysteries and magic being rediscovered.Â So you will find all of those things scattered through my books. I also love biology, so you will find that a lot of my magic is based on biology. Okay, itâ€™s my strange, pretend biology, but it makes sense to me.Â For example, for many years, people believed that if you planted a white rose next to a red rose, eventually there would be an exchange of some kind and the white rose would start to have red veins in the blossoms.Â That fascinated me. Then I read an article that said, â€œNo, thatâ€™s not really happening.Â Itâ€™s just what happens to older white rose bushes.â€Â But the idea that species might exchange genetic material simply by propinquity had already stirred up all sorts of ideas in my head. I am fascinated by the ideas of genetic memory, of things stored in blood, of memory in general, and lately, epigenetic inheritance.Â I hasten to add that Iâ€™m a dabbler not any sort of expert.Â But itâ€™s fascinating to think that a fatherâ€™s experience may affect his sonâ€™s genetic inheritance.Â Readers should expect to encounter that in a later book, Iâ€™m sure! How much of yourself and your own experiences do you think carries through to your fiction? What can a writer write except what is in his own head?Â I can hear of your experiences, or research Attila the Hun, but inevitably, any story I base on what you told me or on what I researched will be written through my life as matrix.Â Iâ€™d really like to see a writer attempt a fictional story that has absolutely nothing to do with the readerâ€™s own life experiences!Â So I think the answer to this is that my entire life affects everything that I write. If I write about an evergreen, I see the one that is in my backyard.Â All my characters will partake of people Iâ€™ve known and how Iâ€™ve known them. Yet, strange to say, Iâ€™ve never deliberately embedded a real person into my fiction.Â Iâ€™ve never changed Joe my neighbor to Joeu, and written about him as a swordsman.Â I believe that every character I write has to begin in the world that Iâ€™m writing as his home.Â Unless Iâ€™m writing a 21st century tale, my characters should not have modern sensibilities about things.Â Can a writer completely suppress the sensibilities of the time and place she lives in?Â Probably not!Â But I can do my best to try to keep my characters in keeping with their cultures. Are there any of your characters you feel particularly connected to or any whose story was particularly challenging to tell? I love all my characters, villains included.Â I think a writer has to love his characters in order to spend so much time in their company.Â And when it comes to villains, when a writer puts on the villainâ€™s skin and point of view, the writer has to make a commitment to really see things from that perspective.Â So I enjoyed writing Kennit, and I think I understood Regal as much as I did Fitz or Burrich.Â All writers, I believe, put a great deal of themselves into their characters. We canâ€™t help it.Â Half the time, we donâ€™t even know we are doing it.Â So the connection is bound to be there, with every single character. It does challenge me to write that gruesome and palpitating bits. But without them, well, the story becomes a pony ride in the May sunshine, and is soon told. What can you tell us about your writing practice? How do you gather ideas and approach a new project? Well, I first draw a map, and make an outline, and then research the geography, geology and history of the region . . . . Thatâ€™s a huge lie.Â My life would be a lot simpler if I did slow down and do all of that first.Â But the truth is, when an idea for a story finally gels and has all its pieces, I canâ€™t wait to dive into it and start writing.Â I donâ€™t want to draw a detailed map or decide how they name the months or any of that.Â I just want to get to the characters.Â I may have carried bits and pieces of the idea for years before it reaches that boiling point, but once itâ€™s there, itâ€™s time to write it.Â So all of those details are discovered as I go along.Â Undoubtedly, thereâ€™s a part of my brain that thinks all these things out ahead of time, but as Iâ€™m writing along, it does seem as if Iâ€™m exploring the world for the first time. Can you get in big trouble writing this way?Â Oh, yes.Â Timelines that donâ€™t match.Â Or I want a desert to cross, but really, thereâ€™s no reason for that area to be a desert. And those things do matter. So on the rewrite I try to fix all those things.Â Bring them into harmony.Â Strange to say, there isnâ€™t as much of that as you might think.Â I donâ€™t know what part of my brain works on all that, but it does feel as if the information is there and is fed to me as the story progresses.Â That may be part of why I carry a story in my mind for so long, up to a decade, before I actually sit down to write it. We have seen the fantasy genre change and progress over time, the landscape, characters and themes becoming ever more diverse. Where do you think the genre will go next? The wonder of fantasy is that it is ever renewing itself, and knows no boundaries.Â I think fantasy readers are very adventurous and will give new things a try.Â So I think the sky is the limit for writers new and old, and readers new and old.Â Right now, readers seem to want a long and detailed read, not just a fat book, but a long series of books.Â I have wondered if that will swing to faster, shorter reads?Â I look at the older paperbacks in my collection and marvel at how much story was packed into 250 pages.Â Whatever way it goes, I love being along for the ride. I am hearing quite a bit about short stories making a big comeback, and I would love that!Â I think readers want a short tale, one that can be consumed during a twenty minute workout or commute, often via an audio book.Â I would love to see the revival of the shorter forms.Â Iâ€™ve enjoyed them for years through my subscriptions to the SF and fantasy magazines.Â If a whole crop of short story writers rose up, Iâ€™d rejoice! Iâ€™m going to meet up with Australian writer Fiona McIntosh, and we are going to rock that World Fantasy Con in Brighton!Â Well, that was the original plan, and I think she and I will still have an absolute blast there.Â But prior to that, Iâ€™ll be doing a book tour to promote Blood of Dragons.Â I still donâ€™t know our schedule or what stores weâ€™ll be visiting, but I expect to have a wonderful time. 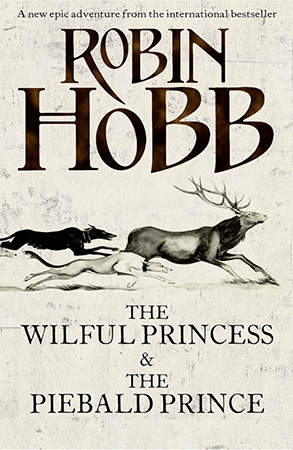 As I get details, I will post them on my website at www.robinhobb.comÂ I always enjoy my visits to the UK and Iâ€™m sure this will be a wonderful one. Thank you for this opportunity to reach out to readers!